Follow either of the two methods below to display option selections in order confirmation emails. 2. Click on the link for the Order Confirmation email. 3. Scroll about half way down the page until you see this section of code. Look for line.variant.title code. 4. 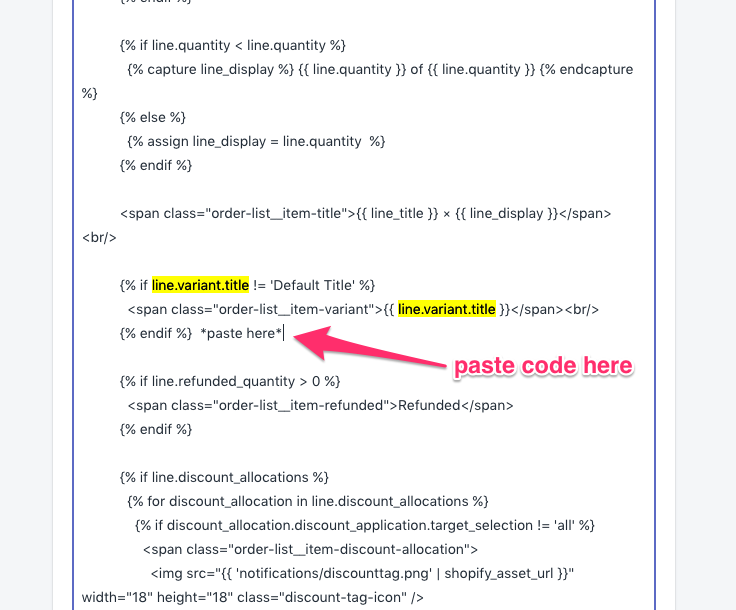 Copy and paste the following code snippet in the specified location. Spently is a Shopify app that supports the necessary code snippets to display option selections within order confirmation emails. It also allows you to customize email templates, which can also help drive repeat sales by including upsells and discounts. Click here to learn more.